Mmm… chocolate coated coffee beans! It’s always a pleasure writing copy for brands that bring some joy into people’s lives. 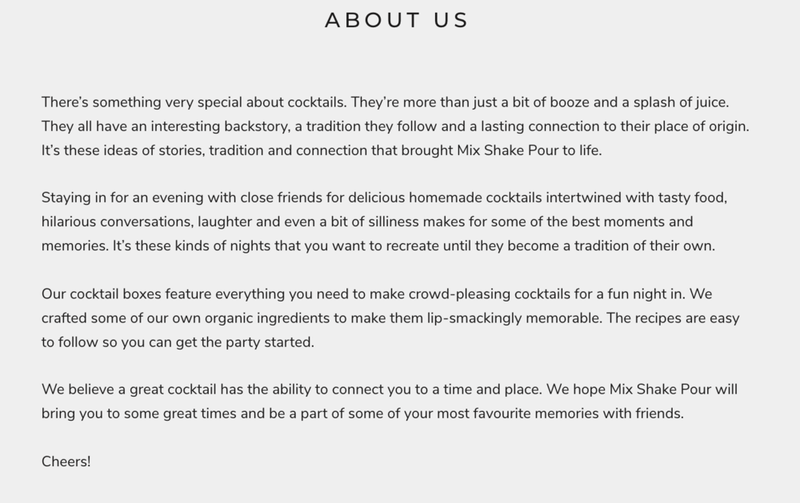 Mix Shake Pour (MSP) is one of those brands where the concept is simple - to provide cocktail kits with all the ingredients for people to make and enjoy at home with their friends. It’s a nice product for anyone who is just so over heading out and wants a fun night in with no fuss. I kicked off the project by getting some insight into MSP’s target audience and defining the brand’s tone of voice. Melissa, the owner of this small Sydney start-up, said she wanted her brand to sound like an “elegant hipster”; high-end but not snobby. I nutted out what an elegant hipster would sound like and Googled videos of celebrity hipsters so I could gauge how they speak and the types of words they use. I provided Melissa with a clear guide on how to use the tone of voice, plus a list of language to avoid so her own tone wouldn’t be off-brand when she writes copy herself. I then set about writing the product blurbs for each cocktail pack. 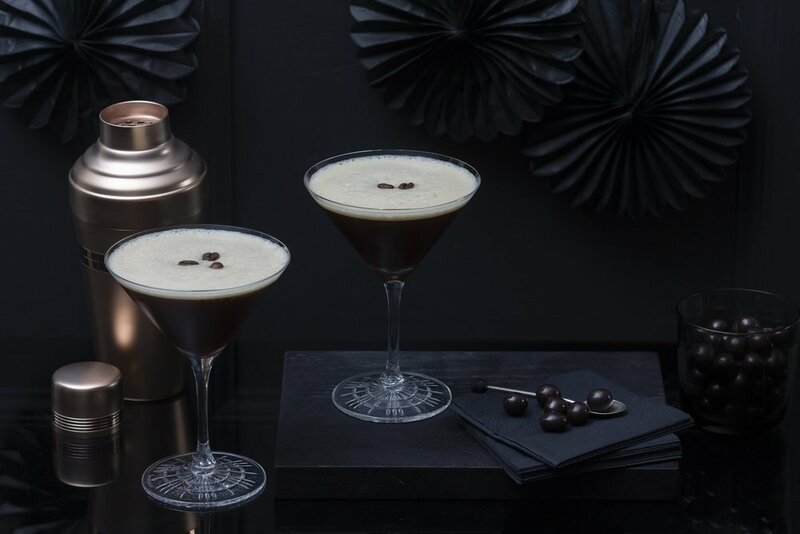 The SEO for the copy was very simple with cocktails, recipes and gifting being the main focus. I also did a bit of research into each cocktail’s history to add in some colour to the copy. Copy for Tom Collins, the king of cocktails. Being such a fresh start-up, there wasn’t a huge amount to draw from for the About page copy. But it’s an important page that typically gets a good amount clicks. I focused on the brand’s concept and the history of cocktails to pull together a few paragraphs that really explains the brand’s ethos. The website is still a evolving but the packaging is fantastic and photography is really beautiful. It was really fun to write the copy and I hope people enjoy reading it! I look forward to seeing this brand grow. Best of luck to Melissa!